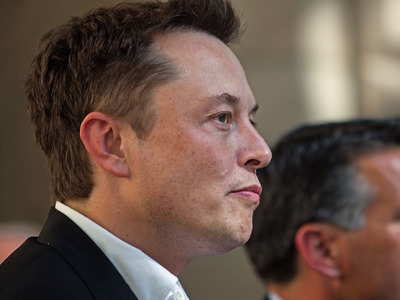 Max Whittaker/Getty ImagesTesla CEO Elon Musk. Tesla said on Wednesday in its third-quarter earnings letter that it expects tariffs on parts made in China to cost around $US50 million during the fourth quarter of this year. The automaker said it expects gross margins on its Model S sedan and Model X SUV to fall slightly due to increased tariffs on Chinese parts. Gross margins for the Model 3 sedan should remain stable, Tesla said, due to manufacturing cost efficiencies and fixed cost absorption. The automaker said it expects gross margins on its Model S sedan and Model X SUV to fall slightly due to increased tariffs on Chinese parts, which it said will not be completely offset by cost efficiencies in its manufacturing process. Gross margins for the Model 3 sedan should remain stable, Tesla said, due to manufacturing cost efficiencies and fixed cost absorption. Model 3 gross margin exceeded 20% during the third quarter, while the total gross margin for all of its vehicles neared 26%. Tesla posted adjusted earnings of $US2.90 per share (compared to an analyst forecast of -$US0.15 per share) on $US6.8 billion in revenue (compared to an analyst forecast of $US6.315 billion) during the third quarter. Other automakers, like BMW, Ford, and Honda, have said tariffs on steel and aluminium imposed by President Donald Trump’s administration have had a negative impact on their financial performance. The Trump Administration announced tariffs on foreign-made steel and aluminium in March, part of a series of proposed and enacted tariffs that have resulted in retaliatory measures from China and increased tensions between the US and China.